Hey hey, can't get enough of cute smilies? 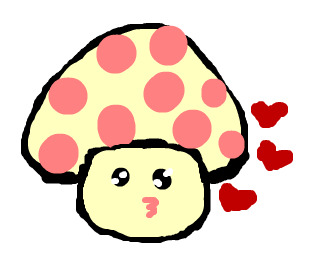 Well this Mushroom themed smilies suggestion is for you. I can't make smilies like the way smiley makers do and rather than just explaining what kind of suggestions this is, I just doodled them to show a few examples. Pardon me for my imperfect doodles. 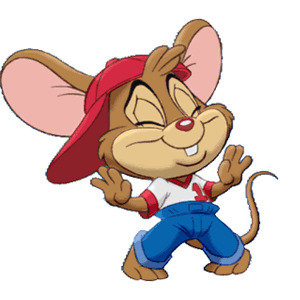 The smilies can be change and make them more look like the smiley, though I would still love to see have sparkling eyes on them. 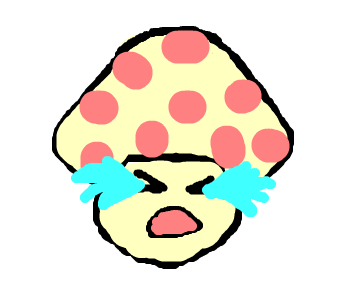 /hug mushroom - a few mushrooms, flowers and grasses as a background, then a frog showed and jumping off on top of the mushrooms from left to the right, then followed by a hug message after the frog disappears. 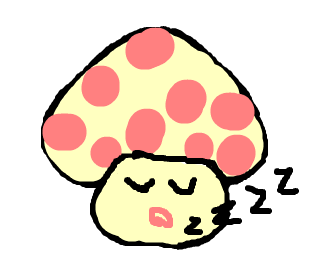 Comparisons will be drawn with the mushrooms from the Mario games / the Toad character. 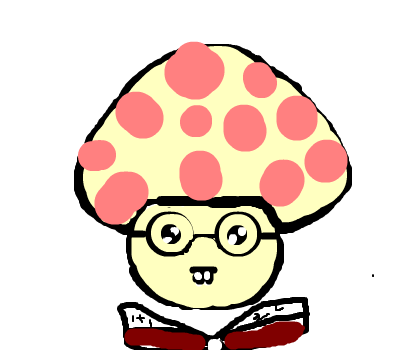 But I suppose wild mushrooms often are red and white. Perhaps we can change the colour of the spots depending on the color code we use. A nice dark blue to match the forum color scheme would be nice. Also, I think the shape is very suitable for smilies. They're small and cute for putting in names or for having them on the smiley line. Overall amazing job! 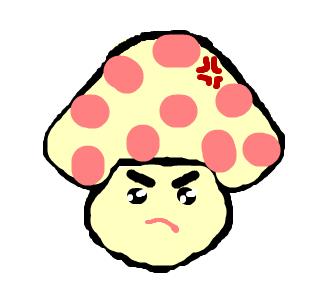 I didn't know that Toad from Mario games is a mushroom-like character until I searched for it. I thought Toas is a frog, haha. I haven't played the game. 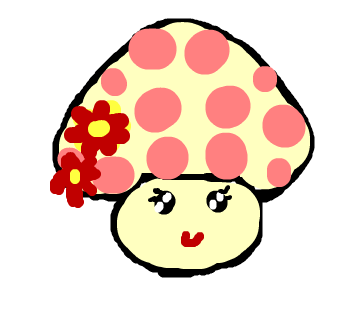 I was actually thinking of using the red and white colors to doodling the mushrooms since it's the common colors to those already existing icon/smilies you can find on the internet xD, so that's why I made the colors a little different. 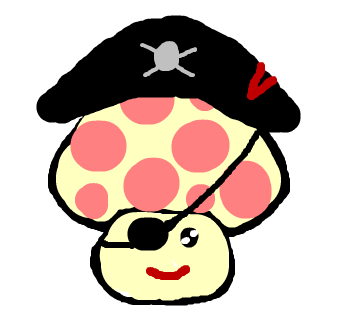 It's also a good idea as you said if we can change the colors of the spots. 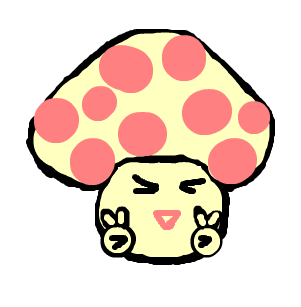 Perhaps one mushroom smiley can do it? 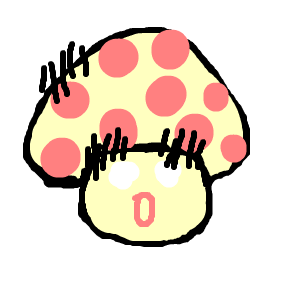 I also think that a mushroom pawn with spots, the colors of the spots changes depending on the user's rank/pawns? 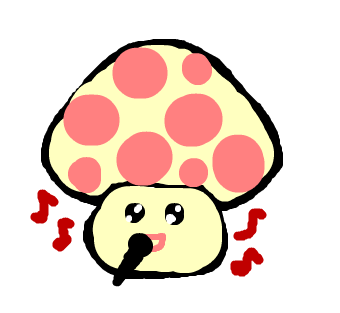 You also mentioned on the chat about rainbow, this mushroom power should also include a rainbow smiley and a pawn. 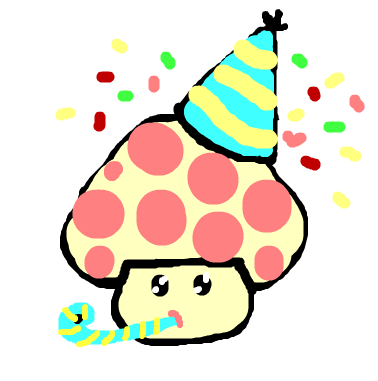 btw, thank you so much for adding more thoughtful ideas to this mushroom suggestion! Very cute smilies , Pawns and Hug. @6 Your idea , doodles are wonderful. Omg, soo uglyyyyyy. But soooooo cute I love this. Nice suggestion, I support this. @Thuk do your magic . Thank you for the effort making these smilies! Although these looks pretty good, though they got a little bit less attractive. 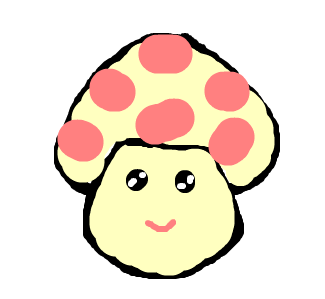 My whole idea for this is to have every mushroom smilies looks fluffy and cute ( I'm talking about their eyes and the spots on their head). those eyes, this is where i got the idea from. These are so adorable I'm very impressed! I like the smilies, and DonQuijote should be a smiley maker. But smiley powers seem repetitive right now. I'd like to see something new for once. so It will be okay if smiles might repetitive but if new smiley come out, it will be cool.